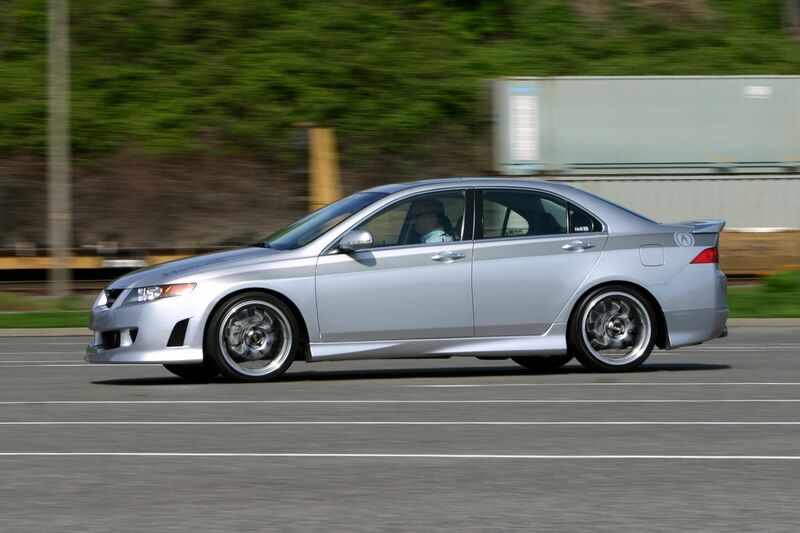 H&R TSX | H&R Special Springs, LP. 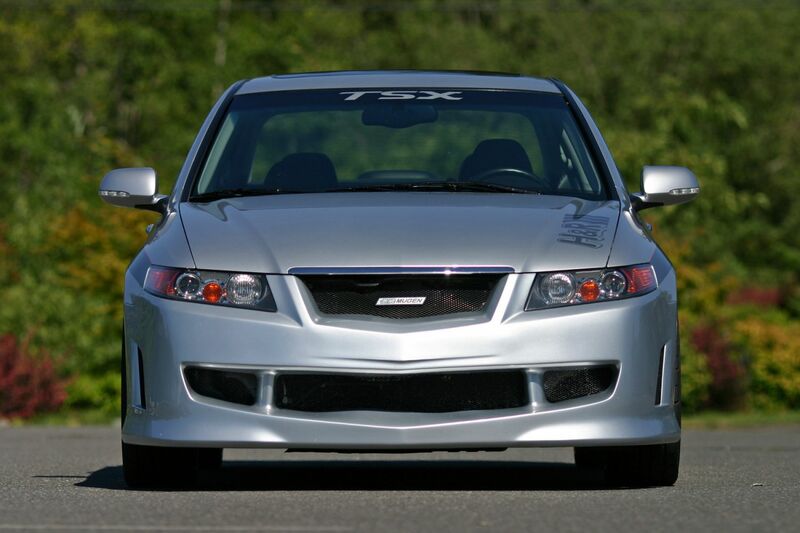 As the import market continues to grow and enthusiasts tastes develop into different areas, the Acura TSX, with its highly sophisticated touch, is a perfect application for these individuals. 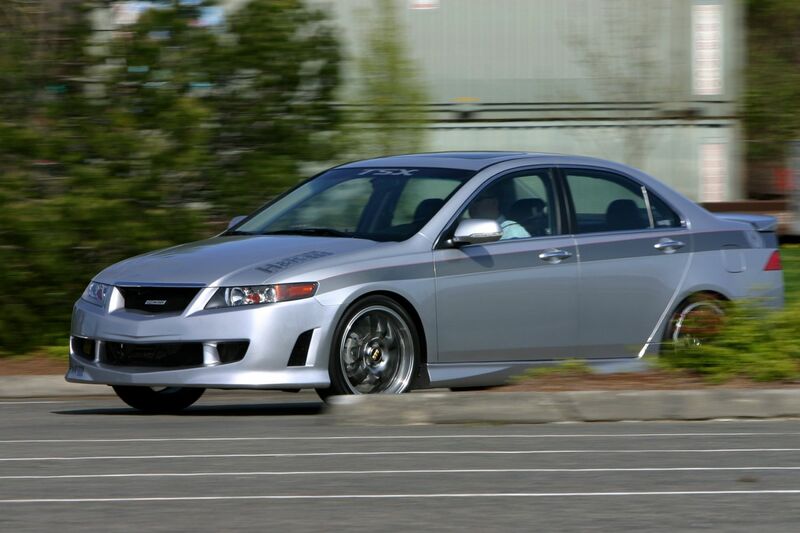 H&R again works in the enthusiasts favor, with their project TSX. 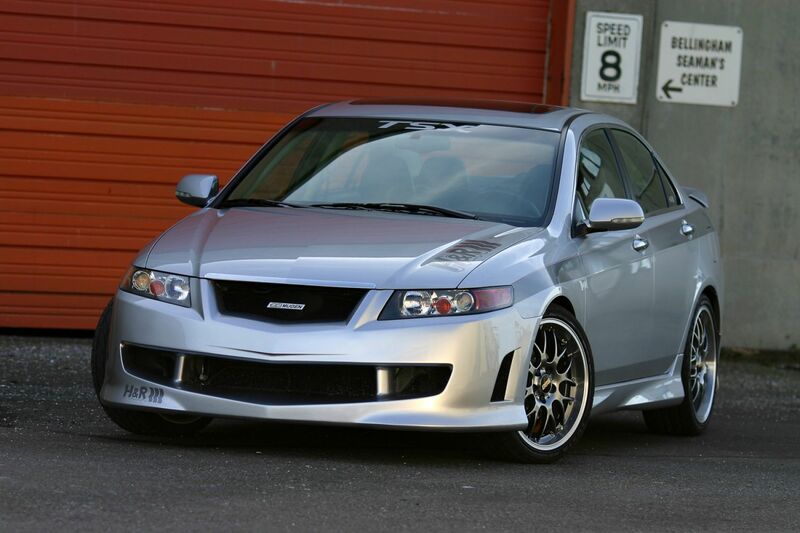 Project TSX includes H&R’s Coil Overs, giving the Acura a perfect stance, ride height and of course super driveability. 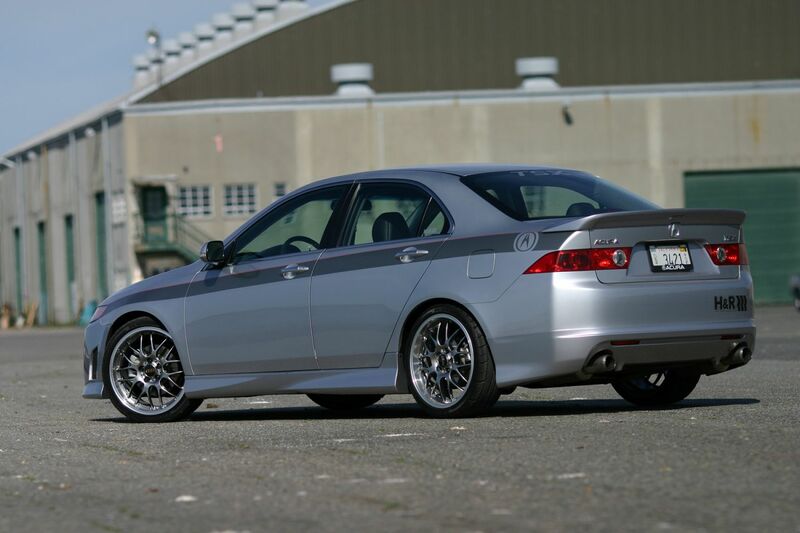 Complimenting the TSX are the new classic look BBS RSGT 19x8 wheels, which feature a diamond black center and brilliant polished lip, wrapped with ultra high performance Kumho ECSTA MX 235/35 R19 tires. 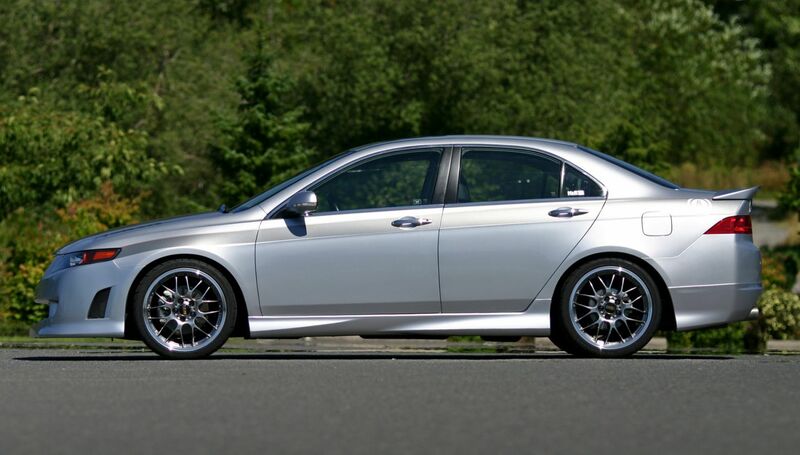 The TSX looks awesome with these tires and wheels, which are a perfect fit. 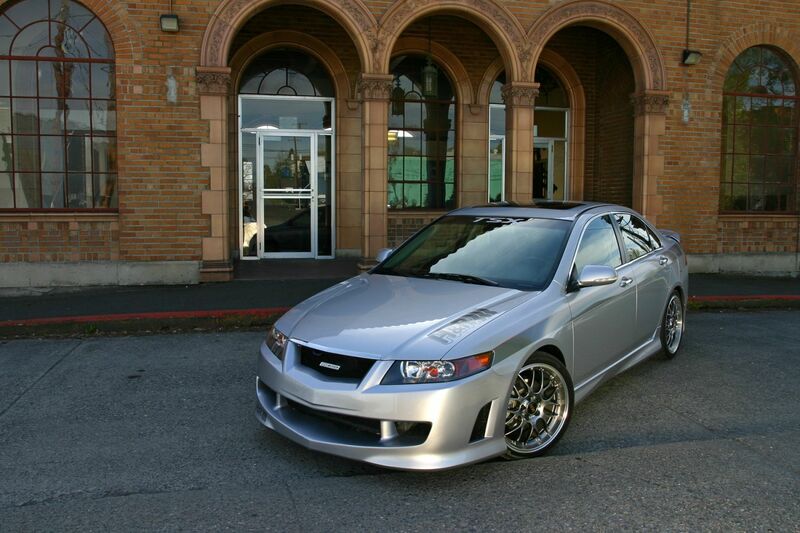 Additionally, the TSX has recently been clad in Mugen’s newly available body kit which features a full aero package consisting of front bumper replacement, side skirts, trunk mounted wing, and a rear bumper body attachment all of which is nicely complemented with tasteful gunmetal gray graphics. With added handling performance, sleek looks and four-door comfort, H&R’s Acura TSX has the look a performance sedans enthusiasts demand.